1A8 Thinwheels are used for high precision slot grinding, slicing and dicing, and some fine cut-off operations. The blades are available in Diamond or CBN and are used in single, as well as gang wheel applications, on standard surface grinders, creep feed grinders, OD grinders, machining centers, and specialized dicing machines. 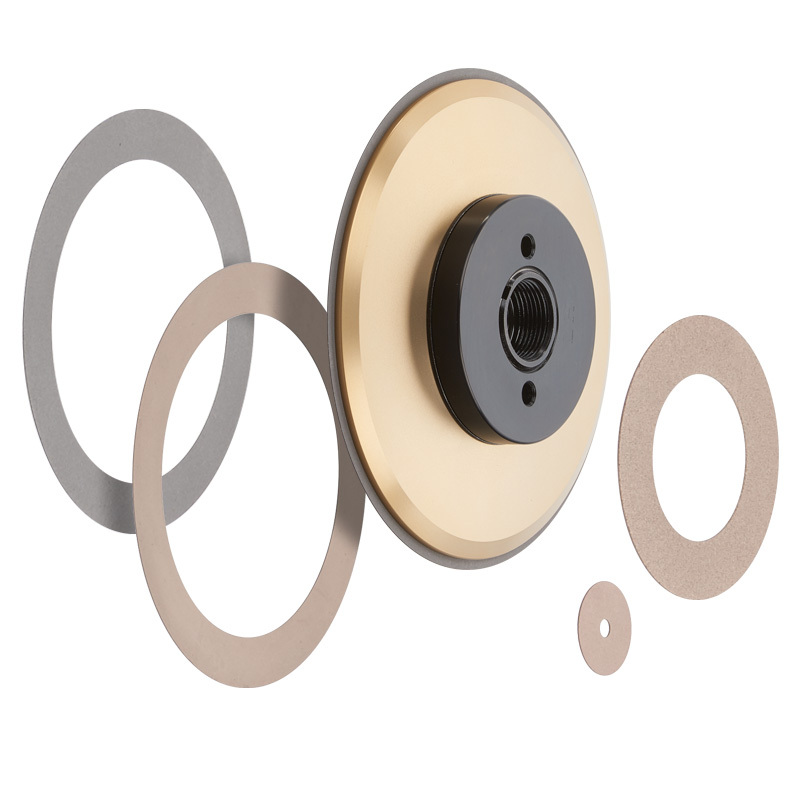 Thinwheels are available in standard diameters of 3″, 4″, 5″, 6″ and 7″ with thickness ranging from .004″ to .250″, in increments of .001″ or fraction thereof, and holding a thickness tolerance of +/-.0001. 1A8 Thinwheels are designed to be used in conjunction with specific Diacut type 1A8 Flanges. The flanges are available in varying diameters, which allows for the appropriate amount of wheel exposure (maximum wheel exposure should not exceed 15 x the thickness of the wheel) and for down flanging as the wheel wears. The standard hole size on the 1A8 Flange is 1 1/4″, but special hole sizes are available upon request. If you are looking for Thinwheels that leave a finer finish, try our 1A8 Resin Bond Thinwheel.